The New York Central's former Lake Shore & Michigan Southern mainline runs along the south shore of Lake Erie, but rarely within sight of the water. 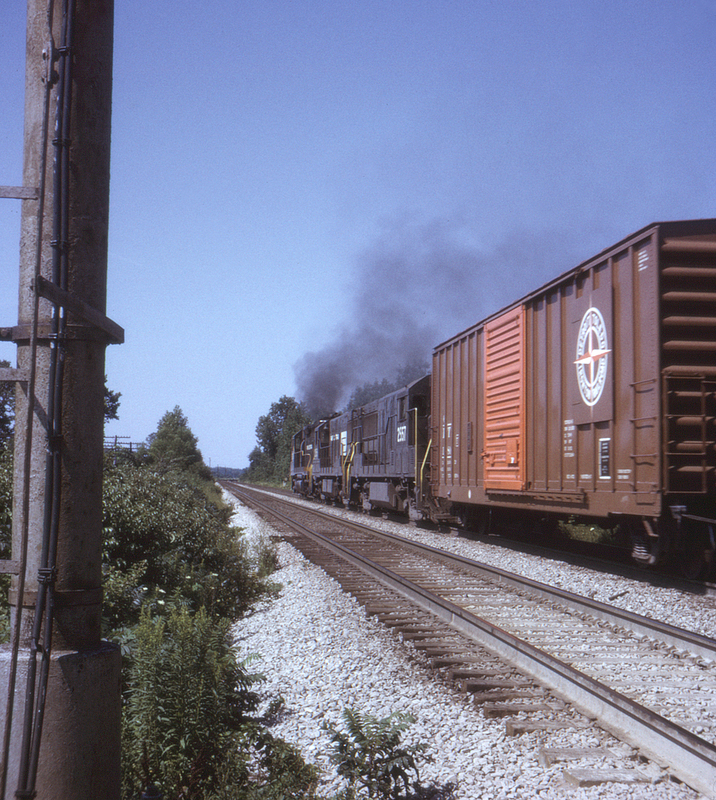 Here at a location east of the Joppa Road grade crossing south of Beulah Beach, Ohio, a Penn Central freight storms its way west. The communication lines at left have been nearly swallowed up by the greenery.